It is pretty tough to obtain links to product pages from other e-commerce websites. This is the main problem faced by the companies who have e-commerce websites. However that doesn’t mean that you won’t see some great links to product pages. You will definitely see some links to such pages but it seems that most pages don’t give enough of a reason to link to them. This can even be true for category pages and it is due to all of this that the clients struggle to look for alternative methods for generating links to webpages other than the home page. Read on the concerns of this article to know the different ways in which some intelligent companies have created linkable internal pages. Blogs of different companies: There are company blogs like Madewell’s blog which has 126 linking domains and every single post is more than a fresh opportunity for a brand new link. 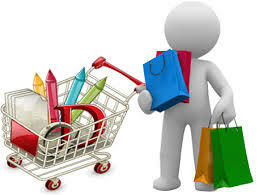 They offer standard stuff and it is easy for the e-commerce sites to get a blog. Madewell has an advantage of not forcing too many product links into every paragraph of posts. They link to other playlists on Spotify or they link to other sites which makes them a really popular blog. Stories of companies: The factory page of Everlane has 88 linking domains. Aren’t you familiar with Everlane? If answered no, it is a company which is clean about the place from where the products come from and to what extent they’re marked up. You will find information about all the factories that are involved in designing their products and the subpages have information on ownership, location and how the company found out the factory. As there are many companies which hide their details, this one will be a refreshing break for you. Apps: Did you know Uniqlo Music has 178 linking domains? How about waking up with your favorite music which again changes according to the weather? You will get information about the composer of the alarm, with the links in order to get the apps for Android and iOS. The most shocking fact is that they don’t sell music, they rather sell clothes. Hence they’re just offering you something extra. So, if you’ve been looking for link-worthy resources for different e-commerce websites, you can take into account the above mentioned instances. Try to incorporate the same into your website in order to get best results.